Edmond offers a gifted and talented program for those students whose abilities require differentiated programs for the full development of their intellectual, creative, leadership or visual arts/performing arts abilities. How do you identify a student as gifted? A student qualifies as Gifted and Talented if they score in the 97th percentile (including the standard error of measurement) on a national standardized test of intellectual ability. If they do not meet that score an evaluation of their academic and intellectual performance can be done. The evaluation matrix includes scores from abilities and achievement tests, parent/student/teacher rating scales, teacher recommendation, and classroom performance. 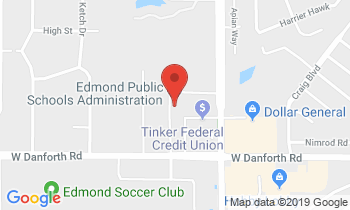 If students who are new to Edmond want to enter the G/T program they must have scored in the 97th percentile on an abilities test in their previous district or a multi-criteria evaluation may be done to determine if they would qualify for the Edmond program. Testing for placement in the G/T program is done by request throughout the year for students in 1st, 3rd, 5th, & 7th-8th. A student may test only one time during a school year. All 2nd-grade students are tested in the spring. All 4th and 6th-grade students are tested in the fall. Enrichment is an elective course taught by a teacher who specializes in gifted and talented education. The subject matter varies from school to school and is differentiated to meet the needs of learners in content, process, and product. Middle schools also offer Pre-AP courses in mathematics beginning in the 6th grade and English beginning in the 8th grade. Other opportunities include Proficiency Based Promotion, independent study, special groupings, dual enrollment with a high school, creative and academic competitions, and the Duke Talent Search. All Edmond high schools offer a variety of Advanced Placement (AP) and Pre-AP classes that can result in receiving both high school and college credit. Other opportunities include Proficiency Based Promotion, Independent Study, Concurrent enrollment with a university, Creative and academic competitions and Professional Internships which is a one-semester course that allows a student to experience a career field in a professional way as the protégé of an expert. Interested students should contact their school counselor. For information on the district’s gifted and talented program, contact Kristi Kargl at 340-2268 or kristi.kargl@edmondschools.net.